(HORNBY R8206. (R600 STRAIGHT SIZE). MAY HAVE GREEN OR ORANGE BUTTONS). 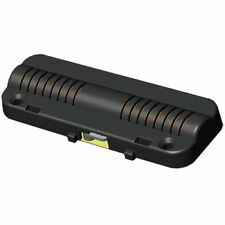 2 X packs TRIANG HORNBY 12.R 489 Long Straight Track Super 4 Boxed Train Track. Each box contains 12 pieces of track each 2’3” long (68cm). Track is in good condition for age with only small bits of rust on some ends. Boxes show signs of wear commensurate with age. What you see in the pics is what you get. This is For a -. OO gauge Raised Walkways. Sent as a kit. 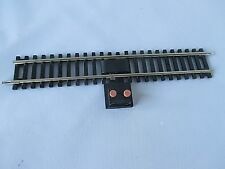 HORNBY DUBLO 3 RAIL TRACK. HUGE JOBLOT IN USED CONDITION, WOULD BENEFIT FROM A CLEAN. 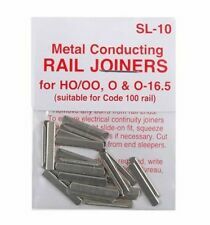 32 CURVED RAIL 30 LONG STRAIGHT RAIL 8 SHORT STRAIGHT RAIL 2 SHORT CURVED RAIL 3 UNCOUPLING RAIL 3 RIGHT HAND POINTS 3 LEFT HAND POINTS 1 QUARTER RAIL A COUPLE OF LEAFLETS TOO. NO RESERVE.